Written by Yuliya Valko on 06/04/2018. How are bees and startups connected? Well, in most cases they simply are not. Unless we are talking about the company SocialBee and its Chief Executive Bee – Ovi Negrean. The company has recently run a successful campaign on AppSumo – one of the largest daily deals websites for digitally distributed products. This is exactly how we found out about SocialBee and immediately were quite impressed with their product. We had the pleasure to talk with Ovi, its cofounder and CEO in person, to learn more about his startup story and how he managed to streamline it with AppSumo. ZeyOS: Please tell us a few words about your background and your company, and how you became a Chief Executive Bee? Ovi Negrean: I’ve been working in IT and dabbling in entrepreneurship for around 15 years. I ‘ve had some smaller entrepreneurial projects along the way, but I’ve never been really committed to them. Before my first startup, I worked for a Belgian software development company here in Romania. I basically helped them to start the company from scratch and grow it to 10 team members. Because I always wanted something truly of my own; at some point I quit my day job to start working on Nugget – an app to discover, remember and share the best content of books. Unfortunately, it was hard to monetize, but it still gave us a chance to learn many techniques to increase the number of followers on social media and share content. That’s why we decided to turn those internal tools into what is now SocialBee. Even starting in a very rudimental way and with lots of manual work, we were able to serve customers from day one. Today, SocialBee is an all-in-one tool, combining various services to help you post and recycle content, trigger your followers and engage with your audience. ZeyOS: You mention on your website that you are committed to building the best social media management product on the market. What makes you different from your competitors? Ovi Negrean: We focus on three major parts: the content part, the growth part and the engage part. Besides that, we offer a couple of additional services. We have competitors in each of these services, but there is none who provides a comprehensive all-in-one solution. So, I would say our main difference and advantage is that we bring together multiple tools. In the content part, we compete with Buffer and Hootsuite, but unlike them, we are category based, and we provide tools to recycle content. This helps to save a lot of time, since you just need to set it once and then can forget about it, instead of having to fill your queue all the time. ZeyOS: The question of how to win the first customers is probably the most important among startups. What channels did you use to attract your first customers? Ovi Negrean: I think our first customers reached us via an interesting article we published on Product Hunt. We had a pretty good experience with launching our previous startup Nugget there. So, when multiple people reached out to me for advice, I also mentioned the new product we were building, and some of them decided to join us. Other customers were somehow also connected with us through the content that we’ve created. Thus, they trusted us and agreed to work with us. After that we started to get customers through social media networks by following them on twitter and engaging with them. We’ve also used cold e-mail outreach to target people in the startup space. All customers came onboard only after a one-on-one demo call with me. It was great to show the product and all the ways in which it could help. Thus, people were more likely to trust us and become our customers. Plus, it was very beneficial to get a lot of feedback. ZeyOS: You have recently launched your product on AppSumo. For people who don’t know AppSumo, can you offer a short explanation as to what AppSumo is and why you decided to do a campaign with them? Ovi Negrean: AppSumo is a deal website offering exclusively digitally distributed goods such as application software (apps), ebooks, learning courses, and other packages. The website is especially popular within the startup community, as it helps them acquire both new customers and valuable resources. AppSumo was a huge project for us and required a lot of preparation. We did so much work getting ready for it, and that’s probably why our campaign ended up being so successful. I think it is the largest deal platform with exactly the audience that we are targeting, like entrepreneurs and businesses. ZeyOS: What was the experience with the AppSumo team? Where was the first point of contact? Ovi Negrean: We integrated AppSumo as a part of our marketing plan. But it happened that they contacted us first. I think one of our customers recommended us to them. To anyone who is interested in launching their product on AppSumo, I would suggest joining their official group on Facebook to get to know the community and get in touch with the group’s administrators. ZeyOS: Is there any selection process that you need to go through to be eligible for launching on AppSumo? Ovi Negrean: I am sure there is some selection process, although we didn’t have to go through one as they contacted us first. We had a call to discuss the details and make sure there was a fit for both parties. But they didn’t have to sell to us hard, as I had been a member of their community for a long time and I knew about the power of their platform. Our product was mature enough and we were confident about the value we could provide, so they wanted us to be on their platform. ZeyOS: How long did it take until the campaign was live? What preparations did you have to make? Ovi Negrean: We didn’t want to launch right away, because we wanted to implement some technical changes first, to make sure that everything would work properly. Luckily, we did it all and we were able to handle a big number of requests. Many of the AppSumo products were usually facing problems with servicing so many customers within a short period of time. Some technical changes to improve UX and make sure our website was capable to handle an increased amount of incoming traffic. Creation of a customer support documentation repository. Researching about other social media tools on AppSumo and the questions that had been raised during campaigns, to create a comparison document between your tool and others. Making sure we had enough people for support. Splitting responsibilities among the team members. ZeyOS: Of course, now we are all curious: Did the campaign on AppSumo actually yield the expected results? Ovi Negrean: It absolutely did, since we sold out. Along with the number of new customers that came on onboard, we got many referrals which meant that people were confident enough in the product to recommend it to others. ZeyOS: If you could turn back time: Would you partner with AppSumo again? What would you do differently? 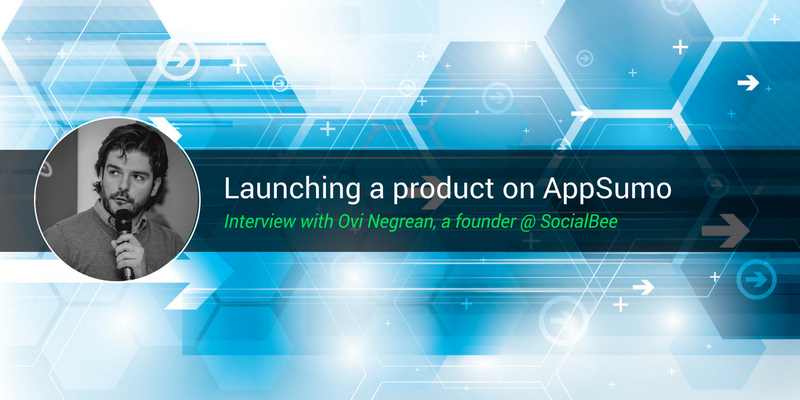 Ovi Negrean: It would have been really helpful, if we had had some video instructions about the main functionality of SocialBee. It would have helped us receive less questions. In the midst of the process, we scheduled a couple of webinars where people could ask questions. I think we could have done that straight from day one. But apart from that, I think we did a lot of preparation work that made sure everything went quite well. ZeyOS: What kind of businesses would you recommend this website as a distribution channel to? Ovi Negrean: First of all, it’s good for relatively young companies, who are yet mature enough to provide the necessary value and meet customers’ expectations. It’s important to be aligned with the audience of AppSumo, which consists of entrepreneurs, marketers, consulting agencies etc. If your product aligns with these types of audiences, it is a good fit for you. ZeyOS: Which other digital distribution platforms and marketing channels can you recommend? Ovi Negrean: We don’t really make much use of any other platforms. We haven’t done a lot of marketing, as we’ve been busier with building the product. Most of our new customers have been generated based on referrals, e-mail outreach and a bit of content marketing. Now, since we started to invest more in marketing, content marketing and affiliate marketing are high on our list. ZeyOS: Every time we were in contact I noticed you were in a different city. How do you balance travel and leadership in your company? What processes and routines do you have in place? 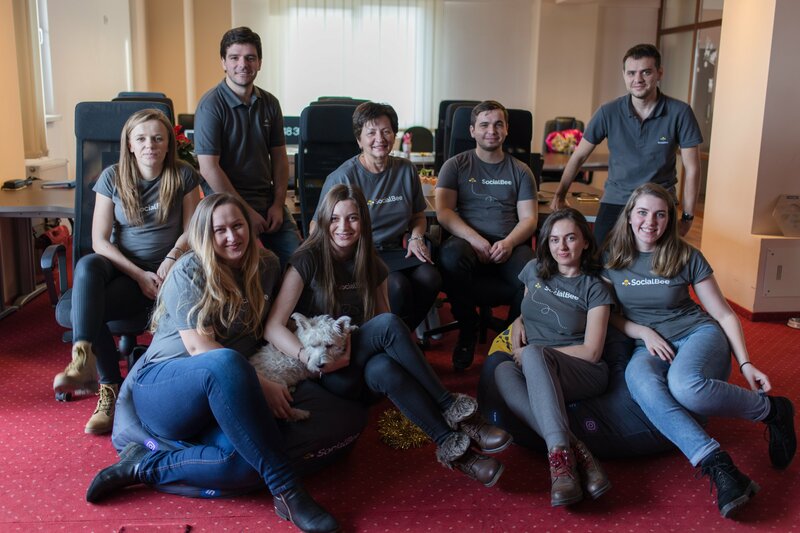 Ovi Negrean: The whole team is based here in our office in Romania – except me. I am the only one who works remotely most of the time. We use team collaboration services like Slack and a special app to handle support e-mails. We have many procedures in place to make sure people know what to do and how to do it properly. All those tools help us to stay on the same page with everything we do. I do travel a lot, but handling our team communication through online meetings and chats makes it all work well. I also use an online calendar, where people can see my availability and book a meeting with me. ZeyOS: How do you leverage business software and other core office apps to optimize your daily business activities? What features do you find the most useful? ZeyOS: What excites you the most in business and life? What is your WHY? Ovi Negrean: I really enjoy creating products that bring some business value, building them from scratch and watching how the market reacts to them. On the other side, it’s also the building of a company, because a company is also almost like a product. You must make sure all processes are in place to have it grow even without you. It also requires a lot of work, peaking, improvement and changes. Concerning the work-life-balance, I don’t think it is possible with being an entrepreneur. Mostly you try to mingle them together. Besides, if you like what you do it’s not a burden, even when you’ve got to work a lot. ZeyOS: What advice can you give to the entrepreneurs-to-be? Ovi Negrean: Despite all hesitations and fears, starting to implement is really important. Because you learn from all your experiences. One good alternative startup method, that I found to be working at least in the B2B area, I call “Sell, service, scale”. I described this approach in my article Why most entrepreneurs fail to build a successful business and what you can do instead to succeed. Sell the vision and the end result to your potential customer. Service the customer even by using the competitor tool. Scale once you have sold your product. Don’t be afraid to advertise your idea and instead have more people interested in it besides you. Only in rare cases you are really the first one, because you came up with something truly unique. Instead, having competitors can be a proof of your concept and the market for that. Products are more and more commoditized. The technical side is not such a big differentiator anymore. I think it is more about how you service the product to your customer. ZeyOS: I think I can hear some puppies in the background in your office. So, it’s true that you allow your employees to bring dogs to the workplace? This must add some special atmosphere to the corporate life at SocialBee! Ovi Negrean: Oh, we are not corporate. We are a startup and we like to have fun and make sure people enjoy their time at work. So, most of the days you can meet at least one doggie in the office. Read stunning success stories of other awesome companies! You want to tell your story, too? Contact us on twitter and we are happy to show case your company on our Blog!